About company About company - EUROTEC, k.s. Eurotec k.s. has been successfully providing services in the area of production and assembly of components for the automotive, electrotechnical and consumer industries for over 25 years. Our leading customers include multinational technological companies such as Bosch, Siemens and Braun. We have significant experience in partially and fully automated assembly, PCB assembly, plastic injection moulding and cable confection. We place the highest demands on quality and continuously expand our production technologies. Our semi-automated and automated production lines are tailor-made by our subsidiary Partec. 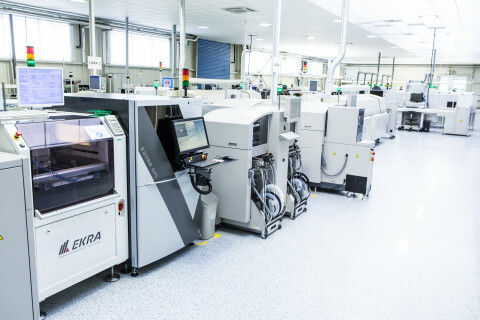 Thanks to our production plants in the Czech Republic and German headquarters, we can offer our customers great prices and high-quality solutions. Our responsibility to satisfy the customers’ needs spans the whole range of our services, from planning up to serial production, and guarantees the optimal processing of orders. Our vision is to be a modern technological company which intensively searchers for new procedures and ways to automate production processes. Our growing portfolio of satisfied customers across all industrial areas forms the foundation of our success. Our mission is to keep searching for new automation processes in order to increase the efficiency of production processes of our clients. To create new trends instead of just blindly following the competition, since in today’s fast-paced world stopping for a while could actually mean a step back. Everyone should behave responsibly and ethically. The normal, honest way and proper efforts lead to great success. Everyone can go up the company chain, without any artificial roadblocks or prejudices. One just needs the right skills, talent, and the will to go forward. Quality is of paramount importance; it needs to remain our focus, every day of the week. There’s always something we can improve. The product must always meet all of its defined requirements. And it must also offer something extra. This added value is what distinguishes us from the competition. Everyone should behave responsibly and ethically. That’s my, and also the company’s, motto. We have always strived to make it clear for our customers that whatever we do here is based on firm ethical foundation and principles. Employees can achieve great success with normal, honest work and proper effort. We do our best to prepare conditions and foundations which give our employees security for the future. The company is stable and has its goals set in a way allowing everyone to participate. Everyone can go up the company chain, without any artificial roadblocks or prejudices. One just needs the right skills, talent, and the will to go forward. 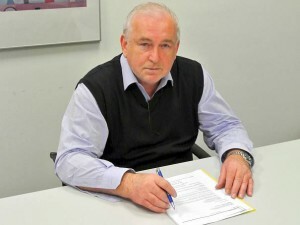 founder of Eurotec k.s. and Partec a.s. The company was founded in 1987 and in the beginning operated in the assembly of printed circuit connections and boards. After founding Eurotec k.s. in 1991, the German headquarters shifted its primary focus to customer care, purchasing and logistics; production was gradually moved to the Czech Republic. The German headquarters in Karlsruhe currently employs 15 people. Foundation of a separate plant for the assembly of electronics in Veselí nad Moravou. In 2007, the production program was expanded by the addition of the new plastic injection moulding division. 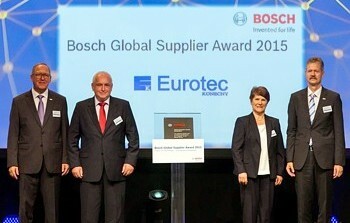 On 16 July 2015, Eurotec, k. s. / Konecny Gerätebau received the prestigious Bosch Global Supplier Award 2015 from its customer Robert Bosch GmbH. Eurotec / Konecny received the award in the electronics / electromechanics category. This award is granted by Robert Bosch GmbH for extraordinary performance in the area of production and supply of products or services – with a special focus on product quality, costs, logistics and innovation. 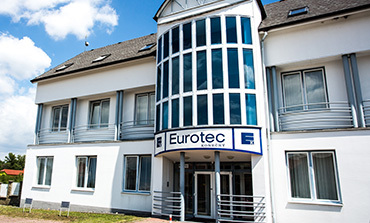 Eurotec, k.s., completed the upgrade of two existing production shops in its Uherský Ostroh facility at the beginning of 2016. This will expand the company’s capacities for the continuously increasing production volume. The upgrade of both shop will create an additional 2400 m2 of production areas. The company’s two production plants currently employ 800 people.